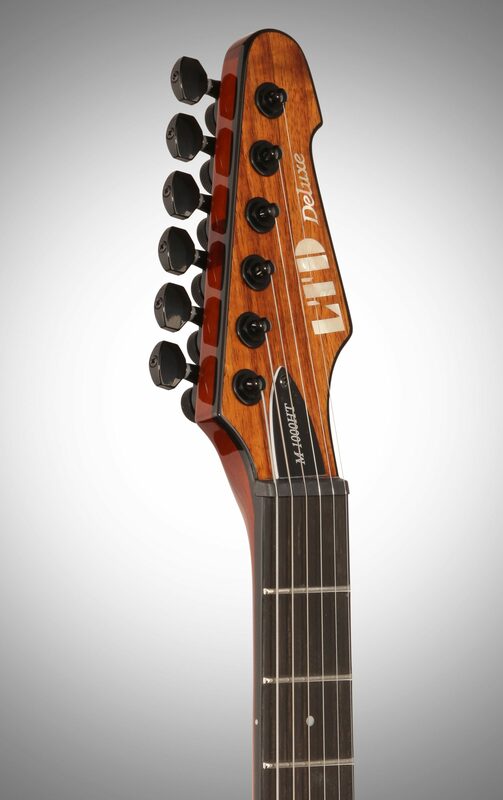 Guitars in the LTD Deluxe Series are designed to offer the tone, feel, looks, and quality that working professional musicians need in an instrument, and are used every day by serious players on stages and in studios around the world. 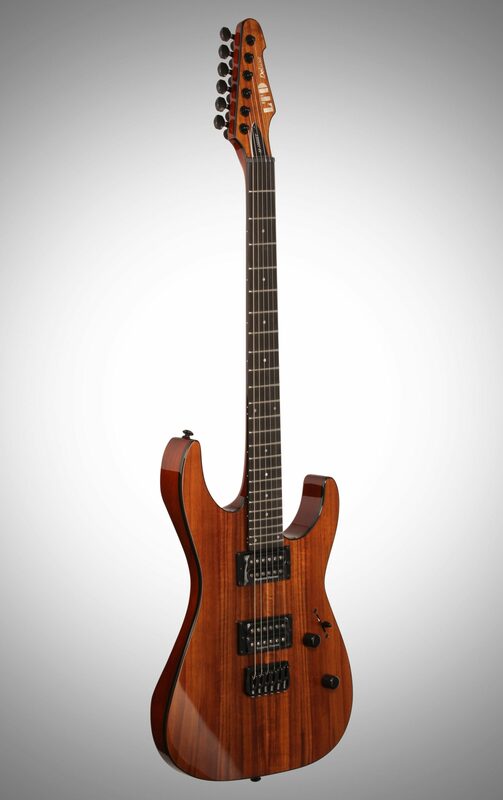 The M-1000HT takes the classic lines of the M Series and offers them in an amazing neck-thru-body, hardtail version that's topped with figured Hawaiian koa over its mahogany body. 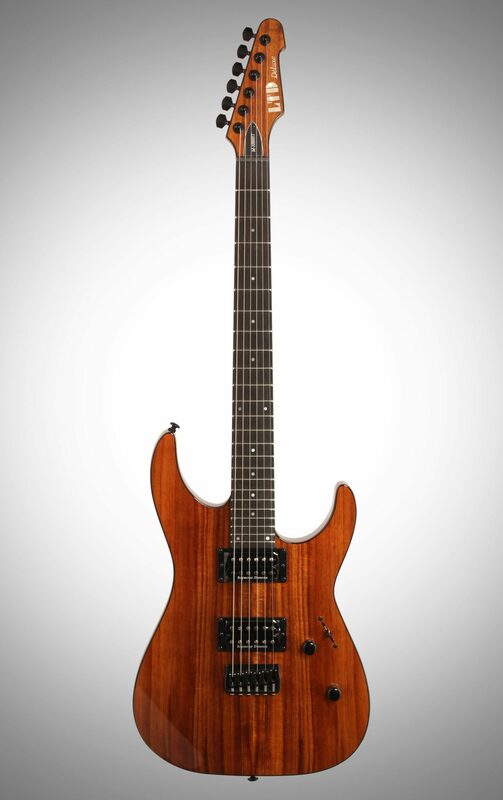 It comes equipped with a pair of premier-quality pickups: Seymour Duncan Jazz and Pearly Gates. 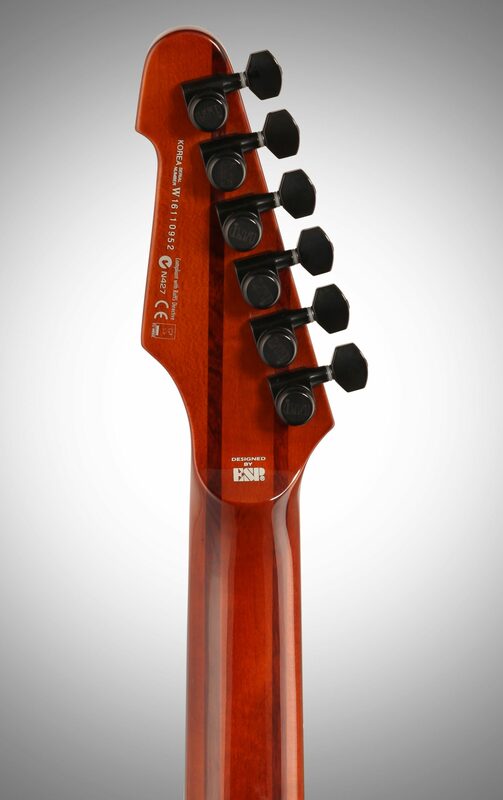 Terrific design details are part of the M-1000HT, including black binding on the body, neck, and headstock. 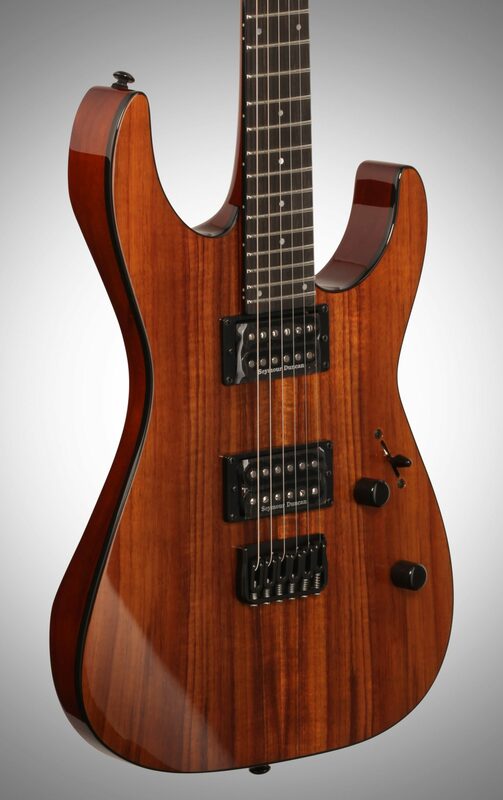 Hardware on this guitar includes a Hipshot fixed bridge with string-thru-body design to get terrific tone and sustain. 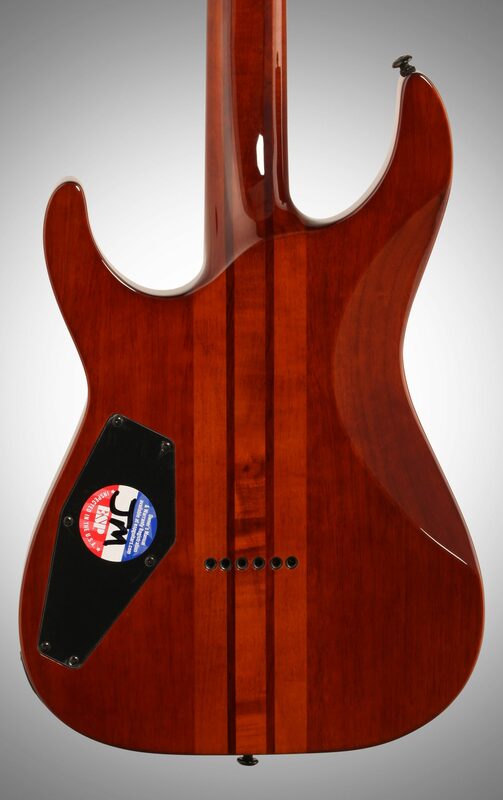 Its extra thin, flat-shaped, three-piece maple neck continues the entire length of the guitar, offering a smooth heel joint so getting up to that 24th fret is fast and easy. Overall: I love this Hard Tail.. I have had it for over a year now and have had ZERO problems with it. the jazz and pearly gates are the best clean sounding pickups I have in any of my guitars .. the tone is well balanced but a little towards the high side which makes leads come to life..their hotter than their name may suggest, the tone really shines through when gain is added.. their a lead players dream.. the neck is smooth, no fret edge bite. 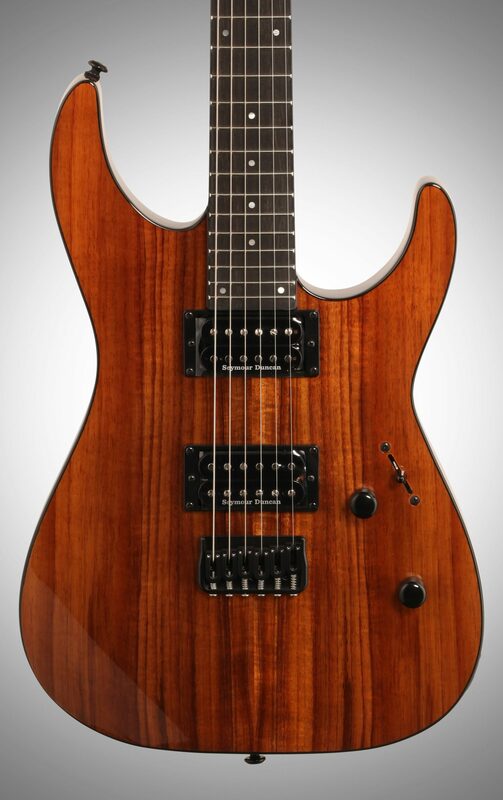 string height is good and my intonation is dead on.. the pots are good quality and smooth.. the 5 way switch is smooth and works great.. tuners are solid and it stays in tune even with alot of hard bending.. this is a very well made guitar and is a beauty in person.. sounds awesome, plays great, well built .. I would recommend it with my 5 star rating across the board... I read the review where the guy had alot of problems with his tremeli series.. I'm sorry to hear that but at the same time it's not like zZounds wouldn't have fixed or replaced it, keep your original boxes on anything you buy for 45 days which is the return time limit... his guitar is not the HT which is a Hard Tail design with no tremelo... he has a totally different guitar .. myself and friends have 3 or 4 LTDs in this price range, none of us have had any trouble with them at all.. try this hard tail , keep your boxes and if you dont like it , call in for the return info.. no biggie.. Style of Music: blues, rock, classic rock , 80s , modern rock. 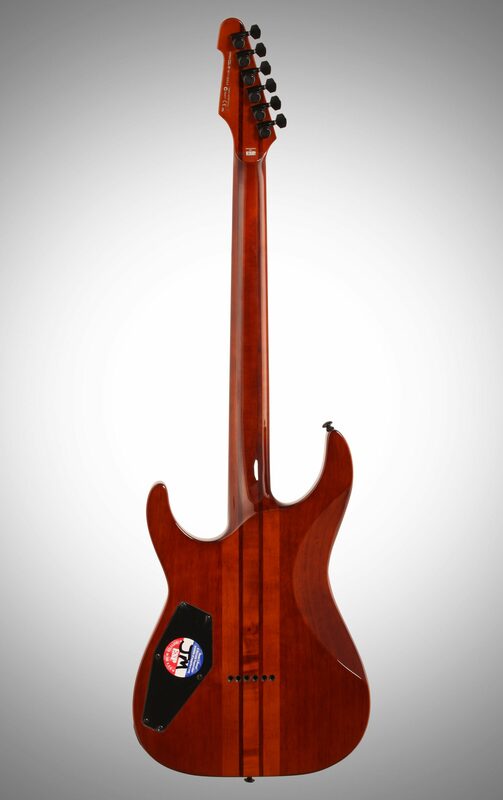 "1,200$ guitar with .50$ wiring "
6 of 8 people (75%) found this review helpful. Did you?